Congratulations to Team Granger on winning the Wednesday Open Championship. 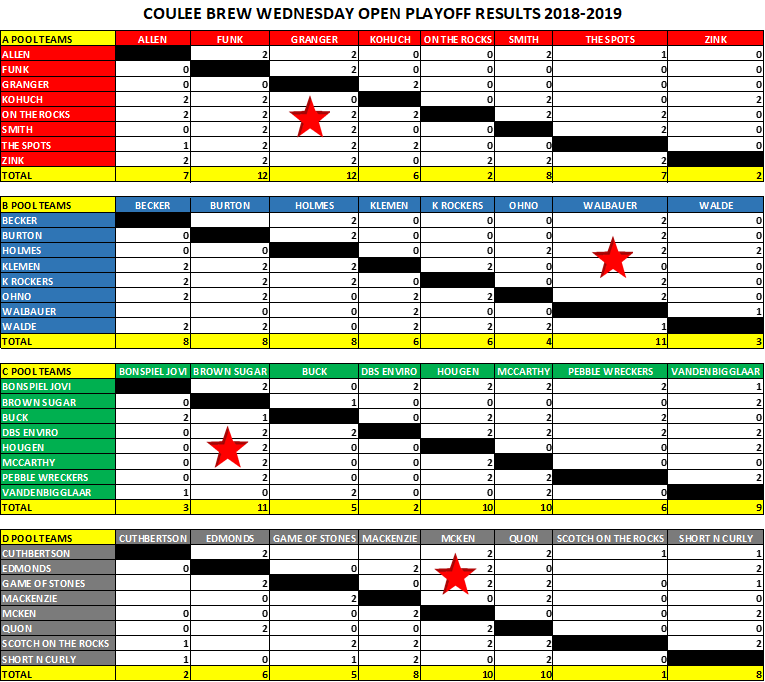 Congratulations also to teams Walbauer, Brown Sugar and McKen for winning their playoff pools. Thanks to all of our teams, see you next year!! !